Thank you for taking the time to get to know AAW leadership. The officers are elected to two year terms at our annual Convention in the fall. The Executive Assistant is contracted by the board to do administrative work for AAW. 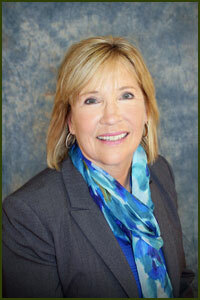 Jeanette belongs to and serves on numerous agricultural association boards. Additionally, she has held several governmental appointments. In 2011 Jeanette received a four year federal appointment to the United States Department of Agriculture’s (USDA) Foreign Ag Services Division (FAS). This appointment was made to the Agricultural Technical Advisory Committee for Trade (ATAC) in fruits and vegetables. The ATAC is a private sector body that provides technical advice on US agricultural trade issues to the Secretary of Agriculture and the US Trade Representative Ambassador. In 2009 Jeanette held a state appointment from Governor Schwarzenegger to the Los Angeles Regional Water Quality Control Board (LARWQCB). The LARWCQB is one of nine regional boards statewide that has jurisdiction to protect the ground and surface water quality in the Los Angeles and Ventura County Regions. Jeanette is a single mother of two daughters. Lauren, is 23 and a recent Economics major from California State University, Sacramento and is currently living in New York City. Younger daughter, Nicole is 20 and a junior at Washington State University, Pullman and is working on her degree in Psychiatry. Karolyn, farms with her husband, Bill, and 2 sons in North Western Minnesota where they raise corn, soybeans, sugarbeets and wheat. The Zurn’s have 5 grown children and 12 grandchildren that all presently work in some sort of agriculture position. At present serving as President of Minnesota Agri-Women and served four years as AAW Chair of Government Issues. 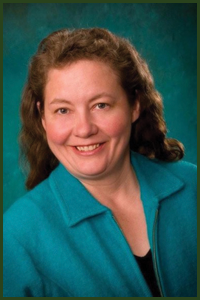 Karolyn has served on many agriculture boards including Minnesota Ag in the Classroom, Northern Crops Institute Council, Minnesota Soybean Growers and Becker County Corn & Soybean Growers serving as treasurer and government affairs representative. She coordinated North Dakota Commonground program for 4 years. Jenny Stelmach’s involvement in agriculture began in 1999 when the first Kentucky Women in Agriculture meetings were held. Having completed her bachelor’s degree in Ag-Business at Western Kentucky University in December 1994 and going immediately to a horticultural internship at the Land Pavilion in Epcot Center she had finally found a group of likeminded women. She served on the group formally incorporating KWIA in 2003. Since then she has served as District Representative, Vice-President, President, Past President, and currently serves as Secretary. She became involved in AAW in 2009. Since becoming involved she has served as Commodities Chair, Commodity Marketing Chair, Foundation Representative and Foundation Secretary. Jenny has been a commodities broker and grain marketing consultant for Commodity Marketing Services in Owensboro, KY for 18 years helping farm operations in all aspects of marketing their grain. She is passionate about all aspects of agricultural especially as it relates to educating the consumer. Lesley represents the fifth-generation of her Kansas family farm, where she raises crops and livestock with her family. Through her other work in civil planning, coaching and officiating, she has had many opportunities to interact with consumers who are not connected to agriculture. She has been extensively involved in leadership with both Kansas Agri-Women and American Agri-Women. Schmidt is past president of Kansas Agri-Women and currently is a board member of American Agri-Women Foundation, Agri-Business Council of Wichita and Challenge Foundation. She has been involved in many other agriculture and community organizations including 4-H, Commonground, Kansas Beef Endurance Team, the Kansas Agriculture and Rural Leadership (KARL) program with an international study tour in South Africa and Young Professionals of Wichita. Schmidt graduated from Fort Hays State University with degrees in technology studies, agriculture and certificates in leadership studies and civic leadership. She is also a certified sports coach and track and field official, with the goal of officiating in the Olympics. In her free time, Lesley enjoys gardening, gastronomy, geography, sports, traveling, and being at the farm with her family, cattle and dog. Immediately after graduating from Iowa State University with a degree in Agricultural Business, Natalina pitched, planned, and partnered with Beck’s Hybrids on a year-long, 50 state road trip, honoring farmers through blogs and photography in all 50 states. After completing the Why I Farm Roadtrip and returning to the Midwest, she finished a number of freelance projects, and began speaking about her traveling experiences around the country. In October 2017, Natalina joined the Successful Farming staff as the Digital Content Editor of Agriculture.com. In that role, she coordinates the back end of the website, sends a daily newsletter, and manages the brand’s social media accounts. While new machinery is her area of focus, Natalina enjoys writing about a variety of news and information in a way that serves farmers. Those responsibilities allow her to travel several times a month. Outside her full-time job, she still speaks at conferences around the country and does consulting work on the side. As a hobby, Natalina works in the restaurant industry, and enjoys learning about other perspectives of food and agriculture through that lens. Growing up in Montana, Katie Yost has been involved in agriculture throughout her life. Her family comes from a ranching background, and she now works for her family owned livestock liquid feed company, Nutra-Lix, Inc. Since 2007, she continues to share her passion for agriculture by actively participating in American Agri-Women and more recently as the treasurer for the AAW Foundation. On the state level she proudly served as the Montana Agri-Women secretary and heads up their youth outreach program each year through their “Ag Sprouts Barn” at the Montana Fair. In Katie’s downtime she loves to travel the World. Farmer, agriculture advocate, ag consultant, educator, volunteer. Doris is passionate about developing the next generation of ag leaders, advocating for agriculture and empowering all agriculturalists,particularly women. 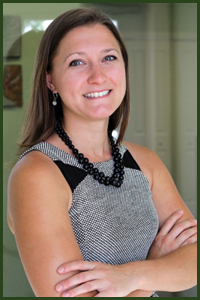 Lisa Campion joined American Agri-Women in October of 2014 as the Executive Assistant. Lisa also works as owner and attorney at law of her firm LMC Law, PLLC in Colchester, Vermont. Prior to 2014, Lisa was involved with AAW as a Farmer to Farmer Volunteer, Sigma Alpha Sorority representative at Board of Director’s meetings as well as the 2010 President’s Award recipient. Lisa grew up in Fraser, Michigan, but now lives in Colchester, Vermont with her boyfriend, John, two dogs, Harper and Marty and cat, Bauer. In her spare time, she enjoys getting outdoors with her family.